Moscow court to rule on DIA claim to recover Rub 79B from Intercommerz bank ex-managers | Russian Legal Information Agency (RAPSI). MOSCOW, February 28 (RAPSI) – The Moscow Commercial Court is to examine a claim of the governmental Deposit Insurance Agency (DIA) seeking to recover 79.4 billion rubles (about $1.2 billion) from four persons earlier in control of Intercommerz bank on April 26, the court has told RAPSI. In January, the Agency said that during the bankruptcy proceedings it was established that those persons acted in bad faith. Thus, according to DIA, they created artificial debts, sold bank assets at seriously understated prices or without payments, and transferred funds to a foreign credit organization. As a result, the DIA statement reads, the bank could not meet its creditors’ demands in full. 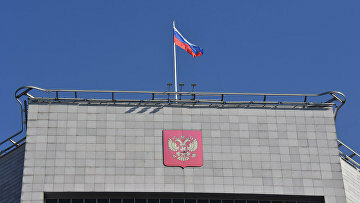 In February 2016, the Central Bank of Russia revoked the license of mid-sized Intercommerz bank for failure to meet the capital requirements and inadequate evaluation of risks. In April, the Moscow Commercial Court declared Intercommerz bankrupt.